A number of tools make it simple to publish or subscribe on MQTT topics. Some are web-based, others are desktop. 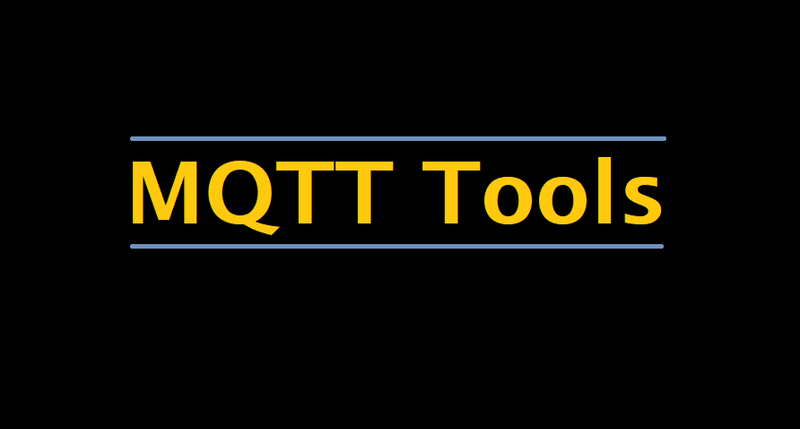 Some popular MQTT Tools are given below. MQTT Board – diagnostic oriented MQTT 5.0 client tool based on mqtt.js. Available in open source. MQTT over websockets (experimental) – from the mosquitto project. HiveMQ Websockets Client – a websocket based client for your browser which supports publishing & subscribing. mqtt-svg-dash – SVG “live” dashboard from MQTT. mqtt-panel – a web interface for MQTT. ThingStudio – ThingStudio allows you create real-time HTML5 user interfaces for MQTT devices by writing simple HTML templates. Moquette – an open source JAVA broker for MQTT protocol. IOTSIM.IO – SaaS MQTT lab. MIMIC MQTT Simulator – Thousands of publishers and/or subscribers for rapid prototyping of IoT Applications, performance testing and tuning of deployments. Bevywise IoT Simulator – IoT Simulator provides complete functional and performance testing tools for the MQTT Platform, Application & Devices Development. IA92 – IA92 support pack includes very useful MQTT Java swing GUI for publishing & subscribing. MQTT.app – an OS X desktop test application (simple pub/sub) by 2lemetry, available from the Mac App Store. SimpleMessage – a basic OS X desktop client based on the Paho C client. TT3 – a full featured windows MQTT client application using Paho libs. Several additional features like performance testing and alerts. mqtt-spy – the most advanced open source utility for monitoring activity on MQTT topics; based on the Paho Java client; for details see the project’s home page. mqtt-spy-daemon – a headless (command-line) version of mqtt-spy; for details see the project’s home page. mosquitto_pub/mosquitto_sub – Publish/Subscribe command line clients, provided with the mosquitto package. MQTT.fx – MQTT.fx is a MQTT Client written in Java based on Eclipse Paho. OS X desktop notifications using Growl. Ubuntu desktop notifications using pynotify. Zenity notifications for MQTT messages. Desktop notifications for MQTT messages with DBUS. Xenqtt – includes a client library, mock broker for unit/integration testing, and applications to support enterprise needs like using a cluster of servers as a single client, an HTTP gateway, etc. twitter2mqtt – a Twitter to MQTT gateway (1-shot) which is using mosquitto. mqtt-http-bridge – this simple web application provides a bridge between HTTP and MQTT using a RESTish interface. mqtt-to-twitter-daemon – a MQTT to Twitter ruby daemon. twitter-to-mqtt-daemon – a Twitter User-streams to MQTT ruby daemon. mqtt-republisher-daemon – a small MQTT topics republisher. Eclipse Paho – provides an Eclipse view which can interact with a broker for testing. mqtt-watchdir – recursively watch a directory for modifications and publish file content to an MQTT broker. mqttfs – mqttfs allows you to mount a directory as effectively a link to an MQTT topic hierarchy on an MQTT server.